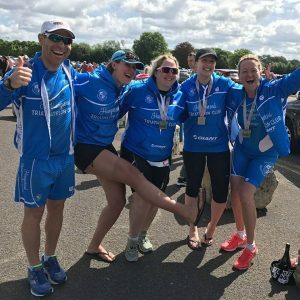 Our involvement in Hampstead Triathlon Club began in 2015 as an initiative to support local athletes. Since then we have got to know so many HTC members. In 2017 store owner Nick learned to swim freestyle with the help of HTC coached sessions. 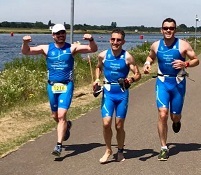 He continues training and proudly racing as an HTC triathlete. We are the suppliers of HTC team kit and hold good stocks to try on and purchase. We have combined with our favourite UK wetsuit brand, Zone 3 with the amazing outdoor local swim venues on Hampstead Heath to help solve the problem of wetsuit fit and function faced by so many multi-sport athletes. No longer do you need to waste time and money buying a wetsuit unseen, ill-fitting and untried. As a Zone 3 demo centre we have invested in good stocks of these great value quality triathlon wetsuits. You can hire a Zone 3 Vision or Aspire wetsuit for a trial swim either at one of our local swim venues on Hampstead Heath or for an event of your choice. These trial hire costs will be offset against your order for a Zone 3 wetsuit at Giant Store Camden. Longer term hire options are also available. We will also be holding regular evening demo events. What Kind of Athlete does Giant Camden cater for? In parallel with HTC, we offer support to and welcome athletes from beginner to advanced level. 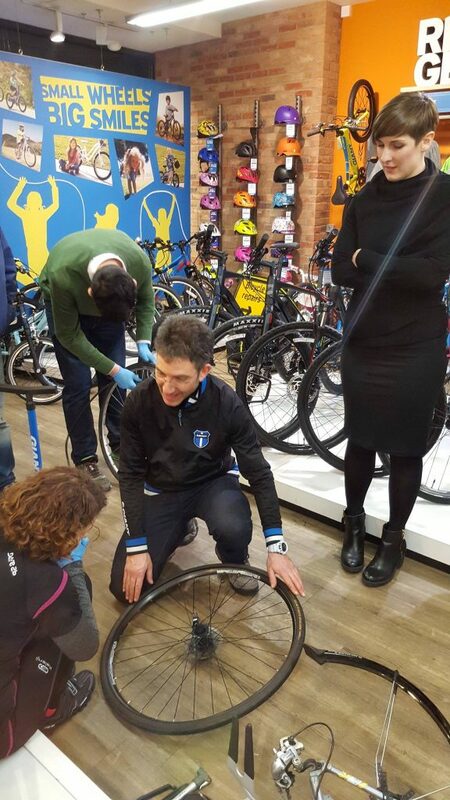 We can supply the right bike for your needs from a basic commuter right through to top of the range professional level road and Triathlon Bikes. 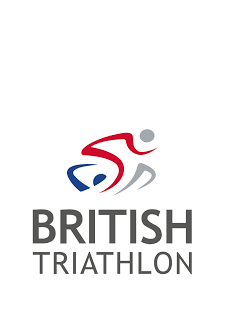 We are aware that bike split accounts for at least 50% of a total triathlon time so our specialist resources and equipment could be vital in helping you reach your performance potential. Giant Camden has embraced up Giant’s dedication to women’s cycling and triathlon and run with it. In addition to our dedicated women’s ‘Liv’ range of cycles and gear, we have our own Giant Camden Team Liv Cycling Club which provides a great resource for female HTC athletes who want to develop and enjoy their cycling with like minded females. Several female HTC athletes actively involved in both clubs. You can make substantial savings on your racing bike, rider and bike gear if you purchase using an employee tax free ride to work scheme. Technically his scheme can be used for any bike you can use for riding to work from Tri-bike, road bike to hybrid, E-bike and mountain bike. The ride to work schemes are employee salary sacrifice schemes which allows you to finance your purchase from your gross salary. You save tax and national insurance as the deductions are taken from your gross salary. Many HTC members have used a cycle to work scheme. There are many schemes out there and we are suppliers to most of them so please get in touch with any questions you may have. Check out this Ride to Work Scheme Introduction Video. Please Contact Us We are always happy to help. Please contact us by email , telephone on 02074854488 or message Nick by WhatsApp either directly or via the main HTC chat group, and of course pop in to the store for a chat at 75-77 Kentish Town Road NW1 8NY.